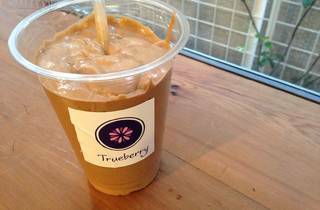 If 'raw cacao' is part of your vocab, then you'll want to visit this new smoothie and juice café in Hiroo. 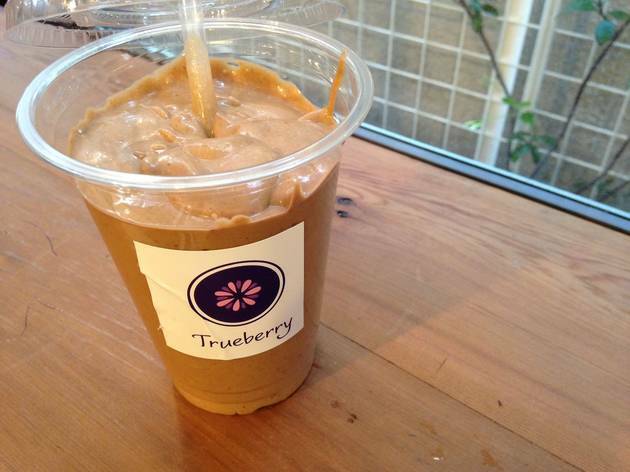 Out of all the new juice bars popping up in Tokyo, we have yet to taste such a delicious, creamy cacao (basically, the raw healthy version of chocolate) smoothie. This one has avocado, banana, dates and cashews in it too, giving you a sweet protein punch that could easily serve as a light meal if you're on the run or doing a detox. Speaking of detoxes, Trueberry offers an organic Juice Cleanse Plan, which takes all the fuss out of preparing juices for yourself. A one-day cleanse plan costs ¥8,500 and you get five bottles of cold-pressed juice to see you through your 24-hour detox. They also offer raw vegan birthday cakes and other sweet treats to go. And, yes, they have a kale superfood smoothie for those on the kale trail.